WICB president Dave Cameron has announced on Saturday that the board will be renamed as the Cricket West Indies. Cameron has insisted that the change was needed in order to remain commercially viable and has revealed that an entity named ‘Windies’ has also been created for commercial deals. "At this point in time we are no longer called the West Indies Cricket Board (WICB) but Cricket West Indies and we have also formed a company to deal with the commercial matters of West Indies cricket and this is called Windies," Cameron told the Guardian. "We continue to explore ways to take West Indies cricket forward and this rebranding is necessary as we move along." Although the official announcement of this name-change has not been made yet, the propasal to change the name was first reported back in November 2015. 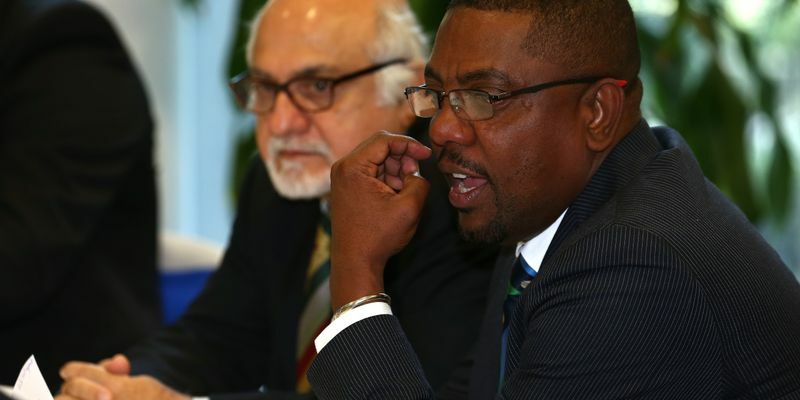 WICB president Dave Cameron, who has been under a lot of criticism for the way he has managed the board, has compared the board to a government and has stressed on the need to improve the financial aspect of the game in the Caribbeans. I am a businessman, so I understand what it takes to make it successful. "I am a businessman, so I understand what it takes to make it successful. One thing you need to understand is that sport is a business and we at Cricket West Indies are like a government. "We need to manage the affairs of the sport not only in terms of improving the performances of our various teams, but also the financial aspect in order to gather what we all want, which is success,” he added. The WICB has been questioned for its lack of transperancy in the way it operates, however, Cameron has dismissed those allegations as baseless. "We want to do things right and do it in a way that would keep us up to date with the changing face of sport management. "Every day the world of sports management and administration is changing, and you need to keep up with this or face serious problems. We at the Cricket West Indies is ready for the challenge and we will be successful," he said.